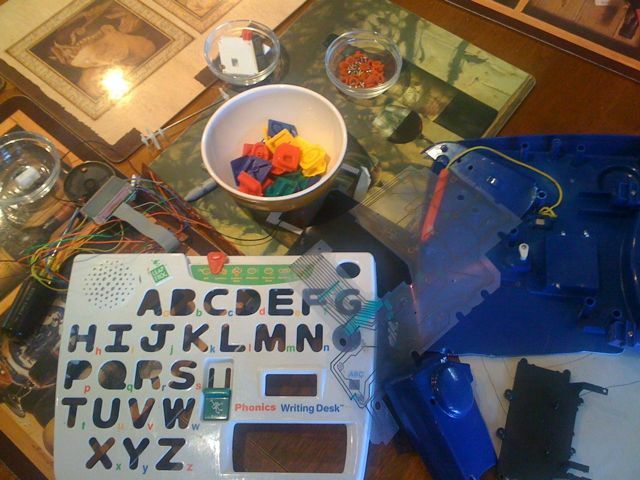 My 7yr just successfully deconstructed (aka took apart) a Phonics Writing Desk. We weren’t expecting much but were surprised to find some interesting mylar printed circuits and rubber pads to touch connections and a gear mechanism and some switches. The most amazing thing were the number of screws. Next project up is a VCR.